Can My Wife / Spouse See My Location? Modern technologies are providing us with the unprecedented choices and opportunities. Our smart phones are becoming smarter and smarter almost on a daily basis. At the same time with hand in hand with choices come worries, as well. The ability to successfully track your phone number has made many people wonder whether or not their spouses can determine the location based on data derived from their phones/iPhones. Although, this may seem as a simple question, there is no easy question in this matter. First of all, you have to accept that there is no absolute certainty about the possibility for your man or wife to try tracking your phone. The smarter your phone is, the higher is the probability for its successful tracking. On the other hand, if you want to be absolutely sure that your life partner cannot trace your phone, then there is no other option left for you to do than to leave your phone when you go out. There is also one more eventuality and that is to use another phone. Nevertheless, with these options we are actually opening a completely different subject of mutual trust and the very foundations of your marriage. It is definitely worth mentioning one more field of possible application when it comes to phone numbers tracking. 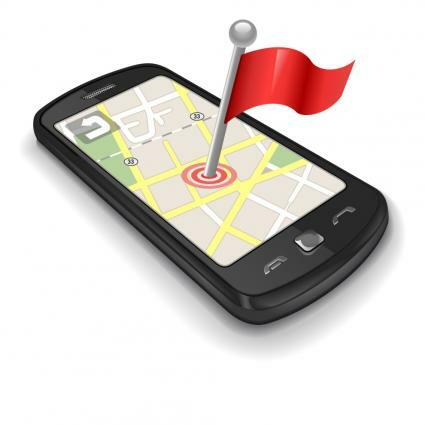 Sometimes through the tracking of your spouse’s phone you can help him or her when it is needed for various reasons. After all, our loved ones carry phones with them for the primary reason to inform us about their position. With an adequate tracking software solution this option becomes an automatic one. You do not need to ask or call. All you have to do is to locate your family member and help him or her as soon as possible. We have seen that phone tracking has enormous possibilities when it comes to determining the exact location of your loved ones. However, we have also witnessed the very limitation of this feature. Phone number locating service cannot deal with the nature of your family relationship. At the end, this is something you have to take care of yourself. Phone tracking option has the sole purpose to provide you with a certain information which will make your decision being a more relevant one. 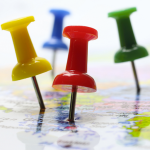 Does NSA Track Everyone’s Location? While Edward Snowden is trying to get used to Russian climate, we are trying to adjust to the new world with no secrets. The conspiracy theorists could not possibly be more satisfied, and the rest of us could not be more worried about the influence that various government and secret agencies had and still have on our privacy. According to one of the recent Appeal Court’s decisions the police does not need to have a proper warrant or even a probable cause for tracking your phone or iPhone. If this is to be applied to the police, then we should not even ask what are the powers and authorizations of secret government agencies such as NSA in this matter. We can only guess and whatever we think or fear about having a very high possibility of being true. To make things even worse some of the urban legends about this secret agency has gained a completely new meaning and relevancy under the new circumstances of public disclosure of once perfectly guarded top secrets. For some time it has been speculated that NSA is conducting a series of experiments with revolutionary devices and softwares for phone location tracking. On the other side, some people claim that we are completely unaware about the power and capacities of NSA for phone tracking. The NSA ability to track and locate phone numbers on almost every point in the world is beyond our power of comprehension according to these claims. Therefore, without any exaggeration we can say that NSA can track everyone and everywhere when and how it wants. As we can see phone tracking has become so much more than just a pure technical issue. In fact, it goes deeply into the ethical and moral sphere. Perhaps, we should leave NSA to do its job. We should examine our own actions and resist temptation of using these phone tracking softwares and solutions for our private reasons. Only in this way, we will have the right to question others such as NSA itself.